This practical toolkit contains a collection of tools that we've found to be very useful for maintenance, daily use and post processing of prints. Phillips, T6- and T8-torx drivers, "chip lifter"
These screwdrivers covers 99% of the screws you will come across on your Ultimaker 2/2+/Go printer. The chip lifter is a great tool for disconnecting the fan contacts for example. It also makes it easier to open up the clips for the glass bed. These are handy for preparing filament for loading into the machine. It's always a good idea to cut the filament at an angle to ease the transport of the material. It's also perfect for quick and dirty post processing of prints. The small tip of these side cutters make them perfect for getting into hard to reach places when post processing your models. We love using these for removing support from prints. 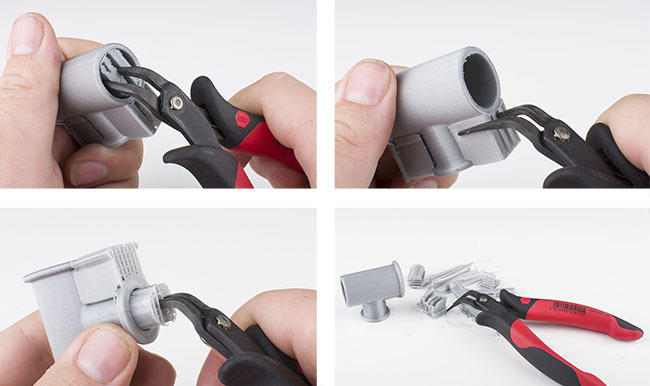 The slender profile of these pliers allows you to reach into deep pockets of your print that you can't get to with the side cutters. Also great for holding nuts in place or grabbing dropped screws. A collection of small files used to clean up your prints when necessary. Great for removing surface scars or roughing up a surface in preparation for glueing. Their small size makes it easy to reach small nooks and crannies. The bottom edge of a print can often be fairly sharp. A deburr tool is perfect to get rid of this edge. Using a knife can serve the same purpose but it has a tendency to dig into the print. The shape of a deburring tool make sure you get a consistent cut. Also perfect for opening up the entrance of holes that have been printed against the platform. If you're unlucky enough to get a clogged nozzle these can help dislodge whatever is causing the obstruction. Printing with special materials such as wood fill is one reason this can happen. Heating up the nozzle, dislodging the blockage and cleaning it out with an Atomic will usually quickly get you back up and running. 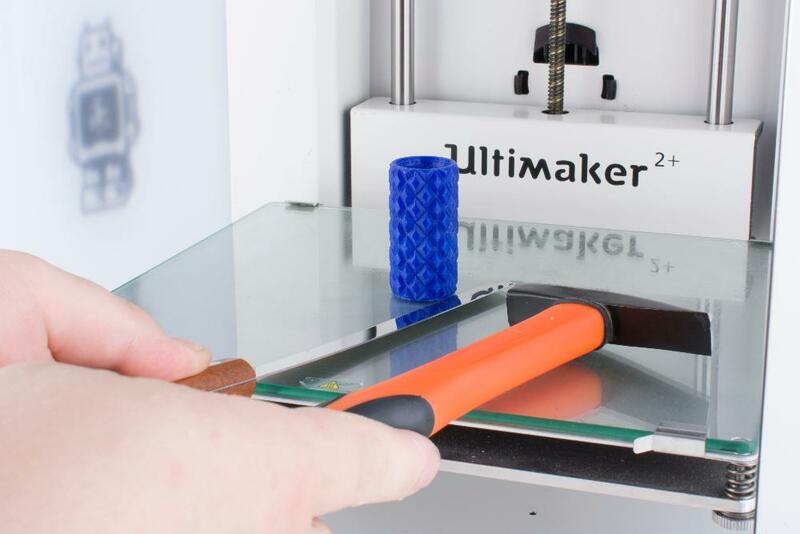 A wrench that fits all the nuts on the Ultimaker 2/2+/Go. 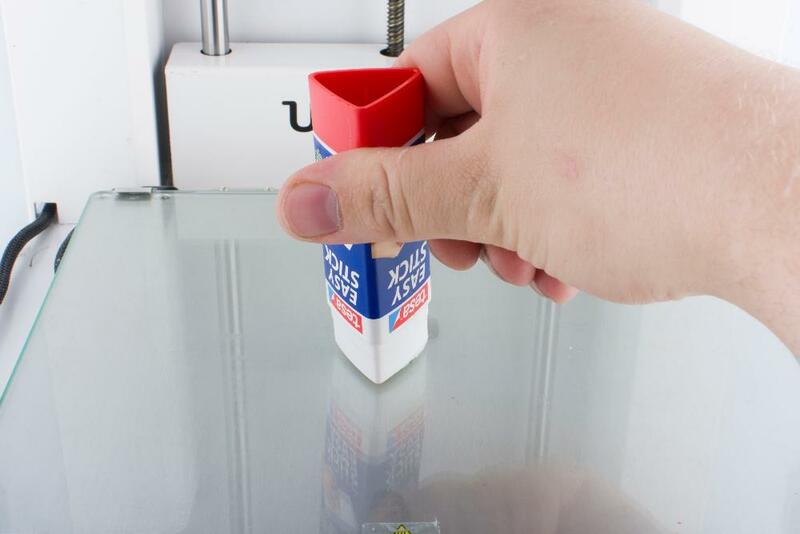 An environmentally friendly glue that gives excellent adhesion for your prints. Can easily be washed away with hot water and soap. Note that a little goes a long way, use a very thin layer of glue. It's important to keep the rods of your printer lightly oiled to make sure the head can move around freely. A single drop on each rod is enough, move the head around manually with the power off to distribute the oil. Should only be used on the four rods around the perimeter of your printer, not the thick rods that guide the bed or the thinner rods running through the head. These should be left dry. Can also be used to restore the colour of a print after you have sanded it. Sometimes prints can't seem to wait to pop off the platform, other times they need to be convinced. The sharp edge of the spatula makes it easy to get in underneath the print to pry it off the platform. 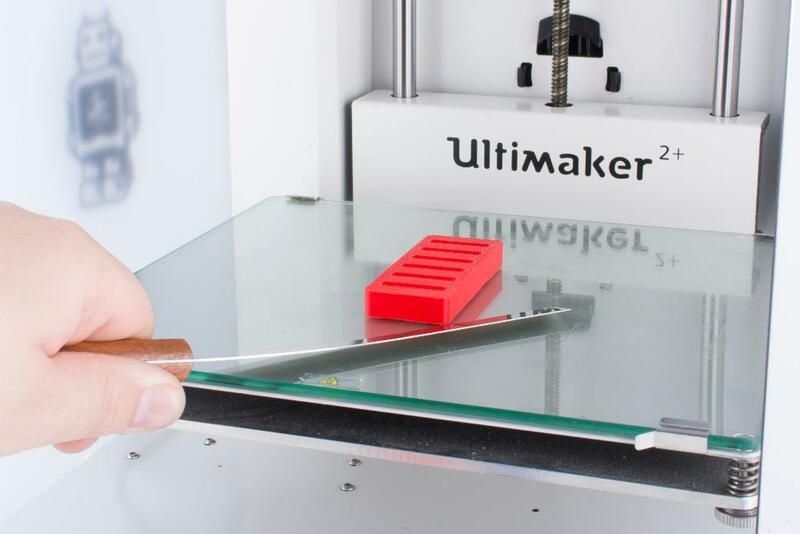 Note that you should wait for the platform to cool off a bit before removing your print to make it easier and to avoid deforming the bottom of the print. Used together with the spatula for particularly stubborn prints. A general purpose knife always comes in handy.